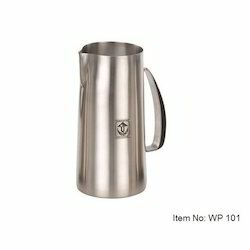 We deal only in Stainless steel water jugs. 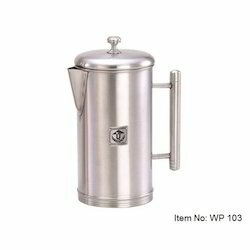 Steel Water Jug offered comes with lid top and in superior mirror polished finish. 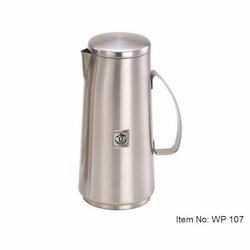 These jugs are developed from high-quality stainless steel metal which makes it provide for durable usage. 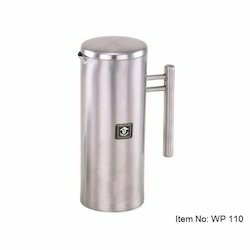 Some of its features include choice of different surface finishes, availability at competitive prices, professional design finish, choice of different capacity for selection, double wall stainless steel finish, steel used as per international health standards, allowing for clean and healthy usage, smooth, easy to wash finish. Sponsored by a group of creative and talented creators, we are very occupied with manufacturing, exporting and supplying a fantastic assortment of Water Jug. 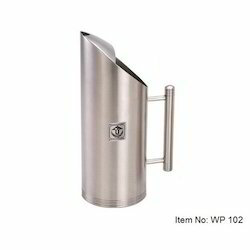 This water pitcher is designed by utilizing the ideal quality basic material and hello tech instruments, in sync with world ample of standards of the business. Also, our extent is offered in different measurements and sizes, keeping in mind the end goal to satisfy correct needs of our customers. In addition to this, customers can profit this assortment from us at business leading costs. 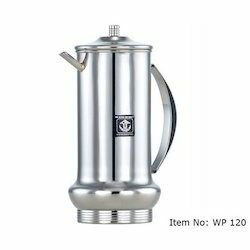 We are energetically occupied with giving a selective cluster of Fancy Steel Water Jug for our regarded customers. 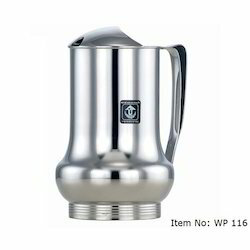 These water pitchers are produced by our very accomplished experts from the finest evaluation stainless steel at standard with the business pervasive standards. Accessible in different sizes & details, we guarantee that all our unlimited extent of products affirms with the obliged business norms regarding quality and configuration. 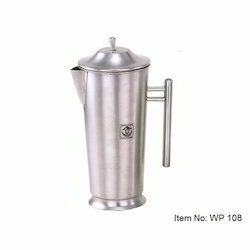 Because of the years of modern experience, we have had the capacity to serve our esteemed customers with an extensive variety of Stainless Steel Water Jug. 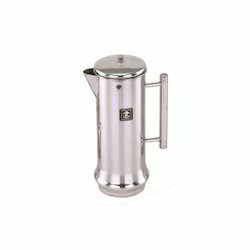 This water jug is produced by our specialists utilizing premium quality stainless steel and progressed innovation. Further, we check our items on distinctive parameters before their last dispatch to verify that these are in agreeability with the world ample of quality standards. Customers can profit the offered water jug from us at business leading costs. 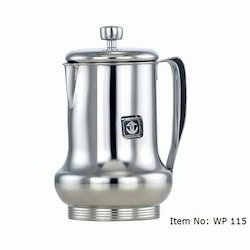 With the assistance of our state-of-the-workmanship base unit, we can offer a quality guaranteed exhibit of Metal Water Jug. 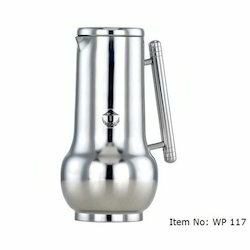 Due to their quality qualities, these water pitcher are broadly utilized within kitchens. 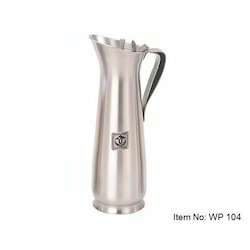 Our gifted experts design these water pitcher, from great stainless steel, utilizing the most recent advances. In front of their last dispatch, our offered extent is altogether checked by our quality controllers against differed quality parameters. 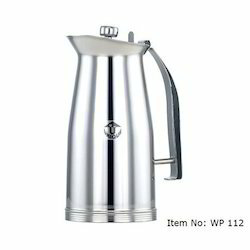 We are energetically occupied with giving a selective show of Designer Water Jug to our regarded customers. 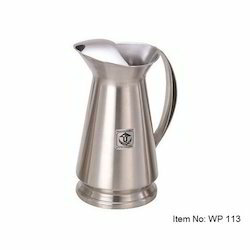 This water jug is designed by our very accomplished faculty from the finest evaluation basic material, at standard with the business sector pervasive standards. Our offered extent is very solid, subsequently generally increased in value by our customers. So as to guarantee the nature of this item, our quality controllers tests it against different parameters. Being a dependable undertaking, we are putting forth a recognized cluster of SS Water Jug. 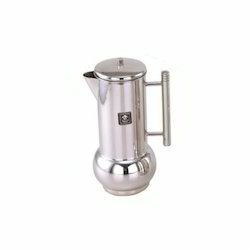 The water pitcher offered by us is broadly acknowledged in the business for its fine completed and toughness. 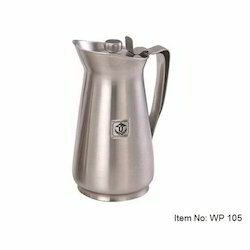 In addition to this, our offered water pitcher is inspected by our quality specialists for resulting its perfection. 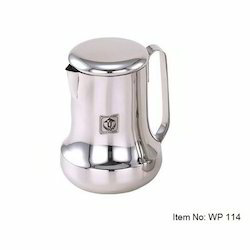 Besides, this water pitcher is made by a group of our qualified experts by emulating industry characterized rules. 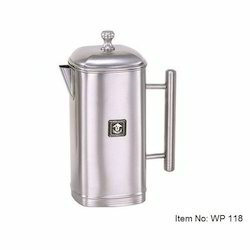 Metal Water Jug offered comes with lid top and double wall construction finish which makes it durable as well as long lasting in terms of usage. 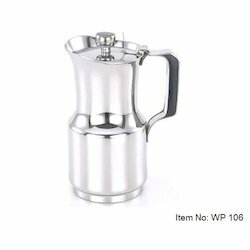 These jugs feature practical and elegant designs and are developed using quality stainless steel 304 grade metal with mirror finish from outside that provides for flawless and exclusive finish value to these water jugs. 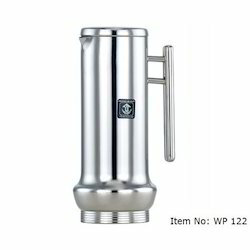 Some of its features include superior brushed finish from inside, choice of different volume capacities like 0.8L/1.0L and others; easy to use and clean finish, can be offered in OEM specifications, ideal for home and office usage, helps in maintaining freshness of liquids kept inside. 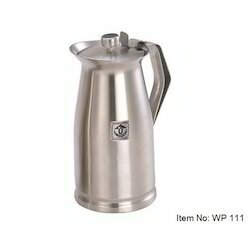 Steel Water Jug offered comes with lid top and is developed from stainless steel #201 grade metal which makes it provide for non toxic usage value as well as durable in usage. 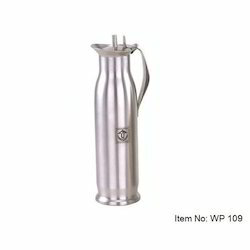 We can offer these jugs in capacities of 1.0L, 1.4L, 1.7L, 2.0L and others. 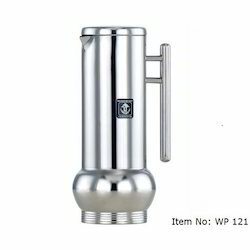 Some of its features include double wall construction for superior usage value, allows for long hours temperature retention, ergonomic designs, superior cold forging finish, durable and easy to carry finish, anti-corrosion special coating support, provide for non-leaching and toxin-free usage. 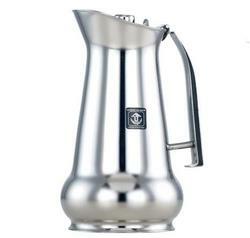 Looking for Stainless Steel Water Jug ?